How Far is BGS Brundavan? BGS Brundavan is a well-designed residential layout which is 40 feet wide and 33 feet wider cross roads. It is located at Bidadi Bangalore which is an outstanding location to start a new living. This layout is lined with beautiful flowering avenue trees that adds more charisma to the place. Street lights, landscaped parks and gardens enhances the beauty of the layout. It comprising of 16 acres and plots of sizes varying from 1200-2400 sft. As this area is completely free from air and noise pollution, it offers fresh air to breathe encouraging a healthy living. BGS Brundavan is also affordably priced and suits any buyer. Features to highlight here are 10,000 Ltrs capacity Water Sump, RCC Column Structure Foundation (G+3 Floors), Gate compound, Power supply from KEB, Sewage treatment plant, Water connection to every plot, Rainwater harvesting for the entire layout and individual plots, Box type storm water drainage and more. It is a perfect plot to build your dream home. Location Insights: Bidadi is a sought after location in Bangalore city. This area is situated near Bangalore-Mysore Expressway. Educational institutes to name a few Ghousia College of Engineering and Govt Engineering College, MH College of Education, Shantiniketan Group of institution, etc are located here. BGS Global Hospital, Indus Westside Hospital, Shreya Hospital, Manipal Super Speciality Hospital, Shreshta Clinic are located close to this locality. In addition, the Bangalore Metropolitan Development Authority is also in the process of developing a township here. As Bidadi is in close vicinity with Mysore Road, Kengeri and Rajarajeshwarinagar, it ensures great connectivity. City Railway Station is just 30 km away and Bangalore International Airport is around 50 km away from this area. RCC Column Structure Foundation Gated Compound Wide asphalted roads Tree lined avenues Landscaped areas Power supply from KEB. Over head tank(OHT) for uninterrupted water supply Sewage treatment plant Water connection to every plot. Rainwater harvesting for the entire layout and individual plots. Box type storm water drainage. 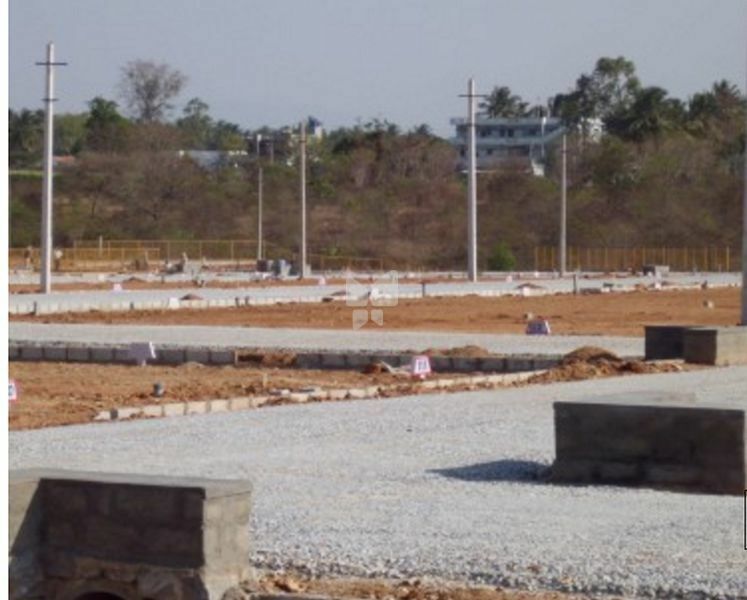 BGS Brindavan comprising of around 16 acres and plots of sizes varying from 1200-2400 sft. A Home you will be proud to own @ Bengaluru-Mysuru Road, before Bidadi Industrial Town at Affordable price, BMICAPA Approved, Ready for Registration, Well Developed Plots.